Joe Jonas, Leslie Jones, Jimmy Kimmel, and other celebrities celebrated the return of HBO's Game of Thrones on Twitter and Instagram. The audience was sworn to secrecy as stars gathered at Radio City Music Hall to celebrate the first episode of the final season. The final season will include six episodes in total and bring to an end one of HBO's most popular shows, which began in 2011. 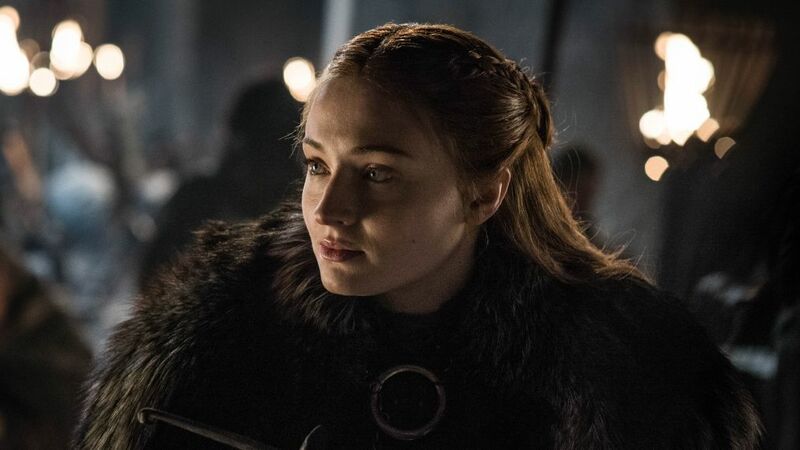 "MOOD," Jonas said on Instagram alongside a comedic video of himself dressed as his fiancée, Sophie Turner, who portrays Sansa Stark on the fantasy drama. The singer, who dons a dress and a red wig, models his outfit as the theme song from Game of Thrones plays in the background. "Who ready?! I am," Jones said before the Season 8 premiere on Twitter, alongside a video of herself displaying her dragon-covered onesie that she was wearing and the food that she had ready for the premiere, which included Game of Thrones-themed Oreos. "Only One Will Win The Iron Throne #ME," Jessica Chastain said on Twitter, alongside a short, sparking photo of herself posing on a fancy chair. The actress was also wearing green boots that featured dragons on them. "Doing the pre-reading," Kumail Nanjiani said on Twitter, alongside a photo he took of himself watching a Game of Thrones episode featuring Daenerys Targaryen (Emilia Clarke) and Missandei (Nathalie Joanne Emmanuel).